The only privately owned safari lodge set on the banks of Lake St Lucia within the iSimangaliso Wetland Park World Heritage Site, the heart of Africa’s largest natural estuary and Leopard Mountain, set in the heart of Manyoni Game Reserve, enjoys the very best that South African wildlife has to offer - Big 5 sightings, delicious cuisine and breathtaking scenery. Together these destinations offer a first class escape for honeymoons or romantic getaways. Or an early morning game drive & afternoon game drive if guests do not want Hluhluwe. Leopard Mountain, set in the heart of Manyoni Private Game Reserve, enjoys the very best that South African wildlife has to offer – Big 5 sightings, delicious cuisine and breathtaking scenery. 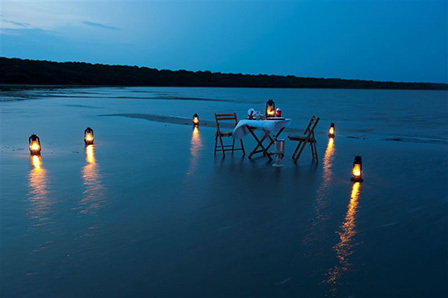 Anvil Bay, a private and exclusive barefoot beach camp on a rare untouched stretch of coastal wilderness in Mozambique’s most southern national park, - Maputo Special Reserve (MSR). Created with the smallest possible footprint to preserve the wilderness and the special sense of place, the camp is set up on the beach under canvas and thatch. 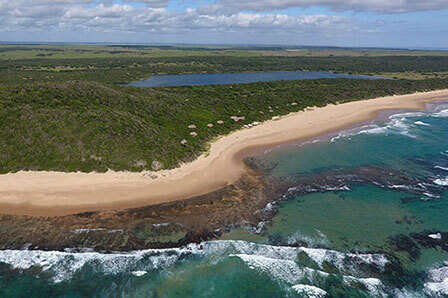 A rare unspoilt beach where guests get to experience life close to nature but with all the comforts of home. Leopard Mtn - 2 nights accommodation, all meals, teas & coffees, local beverages, 2 game drives & midday waterhole experience. Anvil 3 nights accommodation in cassinha, full board & non motorised activities. Invoice to be charged in Rands at Daily rate of Exchange – total might vary from package above due to fluctuations of currency. 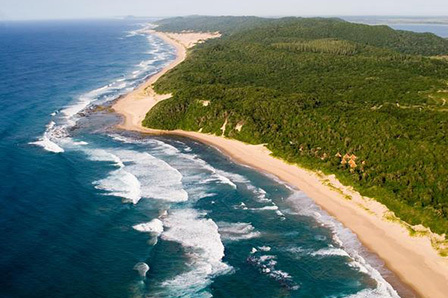 Escaping to one of South Africa's truly deserted beaches and encountering formidable wildlife at a bushveld retreat is one of life's true luxuries. 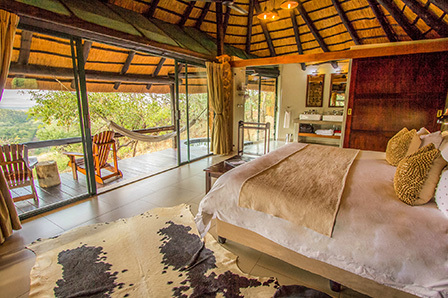 Thonga Beach Lodge is the epitome of luxury on the Maputaland Coastline and Leopard Mountain, set in the heart of Manyoni Private Game Reserve, enjoys the very best that South African wildlife has to offer - Big 5 sightings, delicious cuisine and breathtaking scenery. Together these destinations offer a first class escape for honeymoons or romantic getaways. Leopard Mtn - 2 nights accommodation, all meals, teas & coffees, 2 game drives & midday waterhole experience. 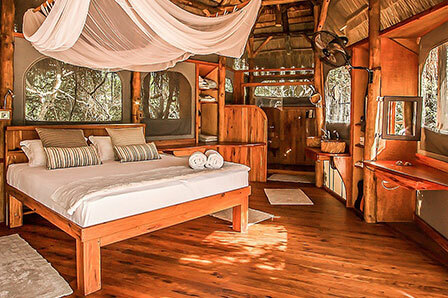 Thonga - 2 nights forest room, full board & non motorised activities. Leopard Mtn - conservation levies, all drinks, additional activities Thonga - motorised activities, drinks, 4x4 transfers and park fees.